Here I am eating breakfast. Here’s me downtown. Here I am with my cat. Here’s my cat (and me). Here I am at my best friend’s wedding. Here I am getting tested for STDs. Here I am at a funeral. Here is me. The word Selfie sounds fun. We spell it with a kicky “-ie” on the end to make it feel cute. But it feels lonely. Once upon a time we needed people to create the photographic record of our lives. We travelled and snapped. We gathered in groups and snapped. We navigated rites of passage, and someone made us all bunch up together for a group shot. As I write this, sitting in a café on Nušićeva, I have been witness to four Selfies already. The Coffee Drinkers. The Window Shoppers. And the I-Am-Not-Sure-What-I Am-Doing-But-Here-is-My-Selfie-to-Prove-It. The Selfie is then posted. And then we “check in” so people know where we are. And suddenly our existence in the world of Facebook (which is arguably the World with 1.3 billion users) is confirmed. If we are feeling particularly in need of validation, we then “like” our own Selfies. Our Friends (capitalized to indicate that they are FB friends and therefore very important) like our Selfies and share their own Selfies. The Selfie, as far as I can see, may be the nadir of our civilization and societal development. It represents our complete anti-socialization, celebrating isolation and autonomy from the rest of humanity. Worse still, Selfies are often taken in company (even if you cannot see who is around the Selfieist) thus underscoring separateness even in congregated situations. 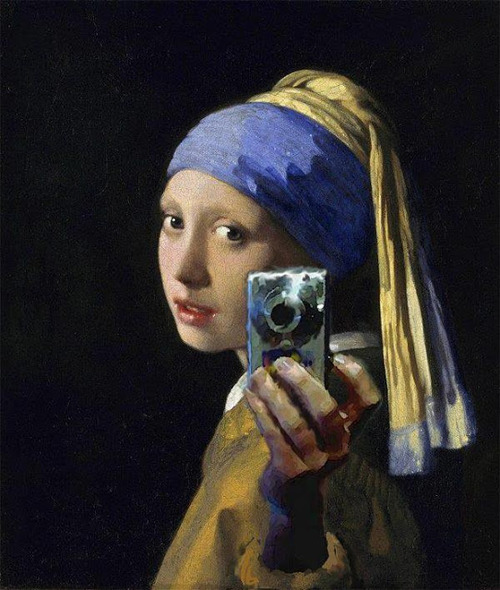 Rather than being an iteration of narcissism, Selfies seem to indicate disconnectedness, on the one hand, and hyperconnectivity on the other. Disconnected with our surroundings and fully connected through the medium of the Internet. I belong to a generation that used to have to request people to take a commemorative picture. We would sheepishly ask our friends or passing strangers to take a photo with a convenient Polaroid or 35mm reflex or Kodak Instamatic, line up and present cheesy smiles, and thank the photographer profusely. It was an act undertaken with a certain amount of reluctance since it made us look a little self-indulgent. But I have by now a folder-load of Selfies filed away as well. My clever smartphone has a clever app to help me take a Selfie, as if it were a key feature of the camera. I wonder, however, what all our Selfies say about us. I wonder if, at some point in the near future, our Selfies will be able to associate among themselves, make connections and draw together as a collective. We may be assembling with all of our self-portraits the foundations of an entirely new digital life-form. This entry was posted in Essays and tagged B92, Belgrade, Chris Farmer, collective, friends, Selfie, smartphone, social media, The Standard Deviation. Bookmark the permalink.